I’ll premise this quickly by saying that I know Sourdough bread isn’t Paleo. Not even mostly Paleo, or Primal. Making it is just something I’ve always wanted to do, never had the guts to, and am finally excited to say I’ve done. That being said, based on what I’ve read from Mark Sisson, if you’re going to have bread, a good homemade sourdough is about the best you can do on Paleo/Primal — aside from not eating bread of course. It all started with Ashley of (Never) Homemaker’s resolution to make her first loaf of sourdough. 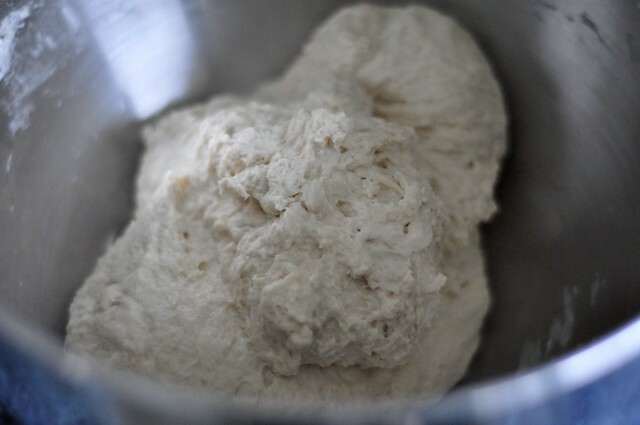 I read with a twinge of jealousy as her starter started to take shape (and smell), and she was just days away from making her first loaf of sourdough. I love making bread. Looove it. I’ve become accustomed to its near-absence in my diet, although I’ve splurged for sourdough for nearly every breakfast at Cafe Berlin for the past year. It and marble rye are just about the best things in the world. When I first baked bread nearly 3 years ago, it was with the ultimate goal of achieving both a starter and homemade sourdough bread. I loved the science and process behind its creation, but it also really intimidated me. Thus, I did what I do best when it comes to things that intimidate me, deflect and procrastinate. And once when we decided to switch up our diet and go mostly Paleo, it went fully on the back-burner. So with Ashley’s series on making her first loaf, I decided it was something I had to experience for myself . 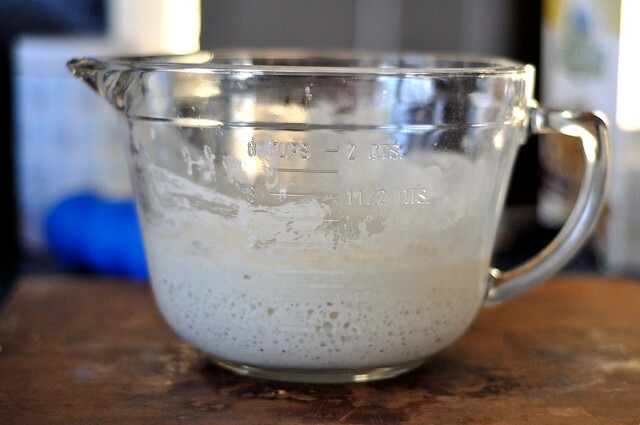 I certainly don’t plan to bake bread every week, but my aunt has a sourdough starter as old as I am, and the thought of having one on deck for when guests come, or I want to bake bread as gifts or otherwise seems pretty dandy to me. Plus, as I mentioned above, if you’re going to eat bread, homemade sourdough from a natural-yeast starter isn’t your worst choice. So about two weeks ago (Monday, January 14 to be exact), I mixed the beginnings of my starter together before CrossFit. 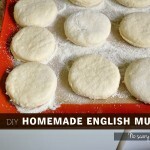 I followed the recipe from Kneadlessly Simple by Nancy Baggett. I love her book. 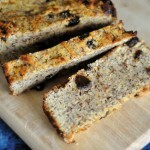 I used it when I baked my Yeasted Cornbread, my Cinnamon Swirl Bread and my Pale Ale Bread. She just writes in such a way that you don’t end up reading the recipe 5 times trying to figure out what you’re supposed to be doing, especially when it comes to the somewhat complicated rise instructions bread can have. 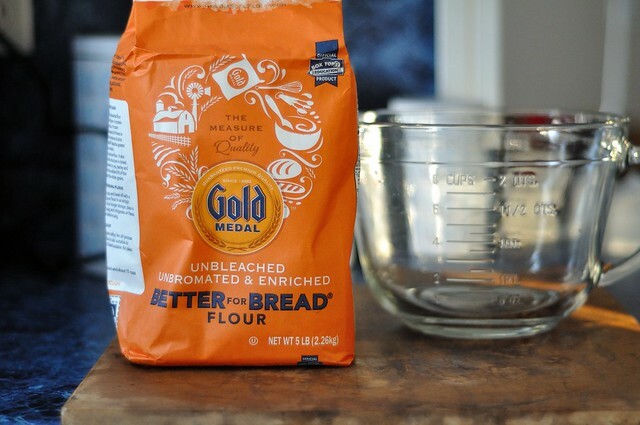 I started by stirring together … 1/2 cup or 2.5 ounces of unbleached flour and 1/3 cup room temperature filtered/spring water in my glass container. It produced a gravy-like consistency. I covered it with a clean, thin dish towel, stirring occasionally and letting it sit overnight at room temperature. 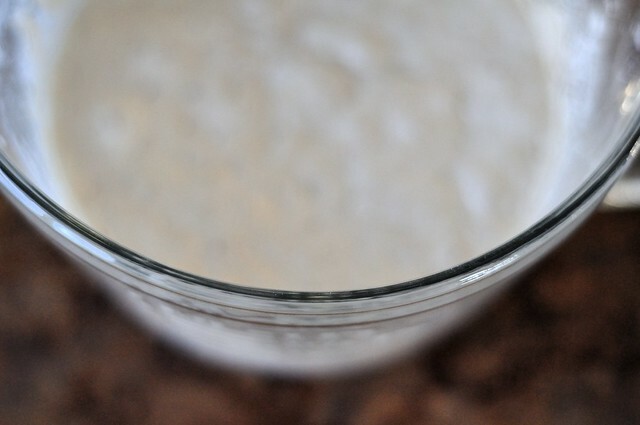 Then for the next 3-4 days I … fed the starter, stirring in an additional 1/3 cup of flour and 1/4 to 1/3 cup more spring/filtered water (depending on if my starter seemed a little dry or thin). It quickly developed a smell that reminded us of beer, but as it matured a little more, almost like alcohol. And then I immediately fed the starter afterward. Anyway, back the bread! 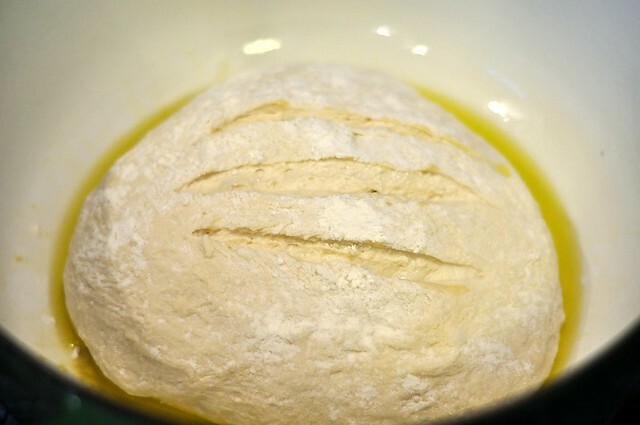 I stirred together the flour, salt and yeast in a large mixing bowl. In another bowl, I stirred together the oil and starter into the water. I then vigorously stirred it into the bowl of flour, continuing to mix until thoroughly blended. I ended up adding a bit more water, it seemed a little dry — but I was careful not to over-moisten. 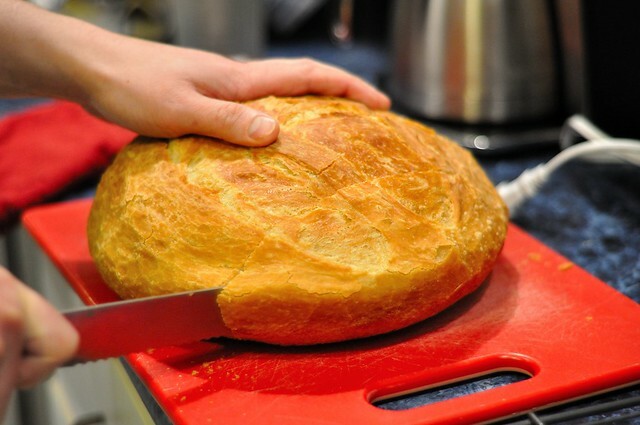 It should still yield a stiff, difficult to stir dough ball. I brushed it with a little oil, covered it and popped it in the fridge. 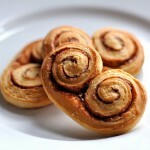 I opted to do a slow rise, which I always opt to do. 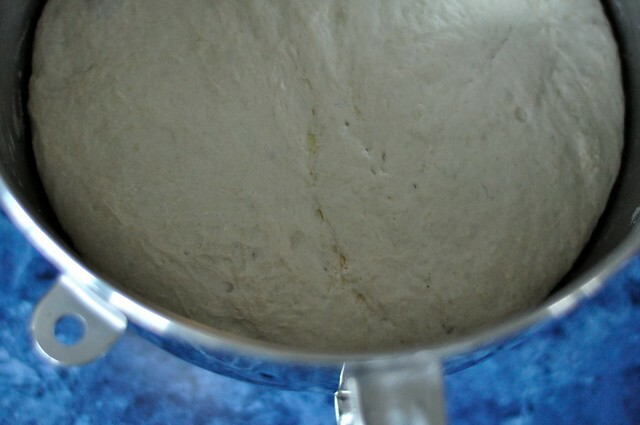 I refrigerate my dough for 3-10 hours (depending on schedule, etc.) and then let it rise on the counter for another 12-18. 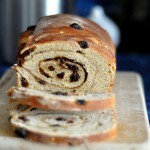 It’s obviously requires quite a bit more patience than a shorter-rise recipe, but the taste is always worth it to me. 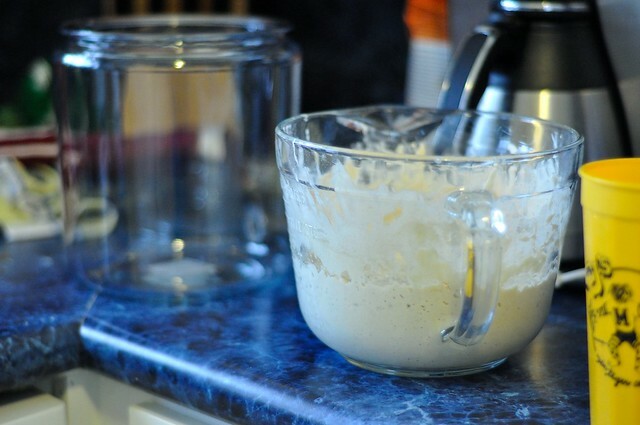 After my first two rises, I vigorously stirred the dough, adding a bit more flour to re-stiffen the dough. Using a well-oiled spatula, I folded the dough in towards the center to organize the gluten. 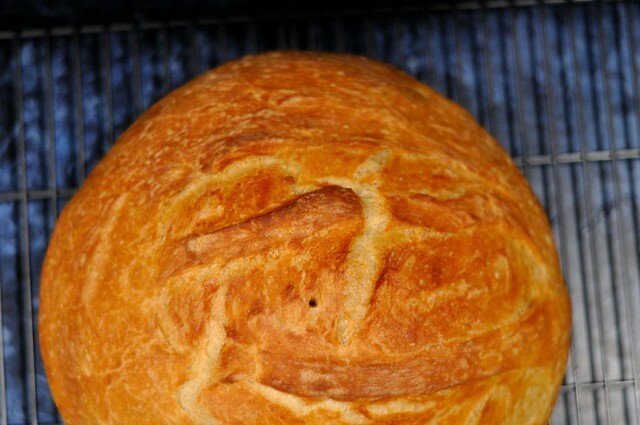 I let it rest for 10 minutes, then inverted it and sprinkled the bottom with a bit more flour. Working the dough, I shaped it into a 6-inch ball with a bit more flour, and gently pulled the sides down and tucking them all the way around to get rid of all the cracks. I then transferred it to a well oiled dutch oven (you can use a similar heavy ovenproof pot if you don’t have one) and dusted it with a bit more flour. Using a serrated knife, I cut 3 parallel slashes on top of the loaf and then working on a diagonal made three more slashes across the first set to create the signature diamond pattern. 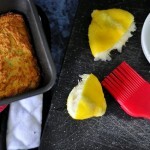 I brushed the loaf with oil, covered it with the pot lid. I let it stand for roughly 2 1/2 hours, enough time for it to double in size in the pot. I then moved the rack to the bottom of my oven, and preheated it to 450 F. I sprayed the loaf with a bit of water, and when the oven dinged, I reduced the heat to 425 F. I baked on the lower rack for 55 to 60 minutes (covered), then uncovered it and baked it for about 15-17 minutes more (this may vary). A skewer inserted into the loaf should yield few crumbs, or if you’re using an instant-read thermometer, it should read between 207-209 F. I let it bake for five minutes more, then removed it and let it cool for 10 minutes before turning it onto the rack and letting it fully cool. It smelled so good in my house! A sure sign of how little I bake now is that the mere smell of fresh-baked bread in the house nearly puts me in a stupor. The flavor/texture was awesome as far as bread goes, but obviously I think the starter still needs time to age a bit before it achieves the full-flavor sourdough should have. The whole process was kind of fun. Having essentially a living thing on your counter growing (aside from the houseplant starts I already have next to the sink) for you to eventually consume is kind of cool. It gave our kitchen a bit of a different face — and smell. “‘Call for the chef,’ she said. ‘Line two.’ I pressed the red flashing light, and signaled for Steven at the grill to turn down the radio. Whelp, yesterday I gave Kenny a new home, his very own glass jar. He was living in one of my large glass measuring cups, but this is a far better, more long-term solution. For the time being he’s going to live on my counter, while he reaches his peak flavor and strength. I think this will also buy me some time to see and decide how I want to store him after that. Storing a starter seems to be a contentious issue. While some people argue that cooling a starter below 48 F destroys it, my aunt has a 30 year-old starter that has been in and out of the fridge for years and makes excellent pancakes at Christmas without fail. 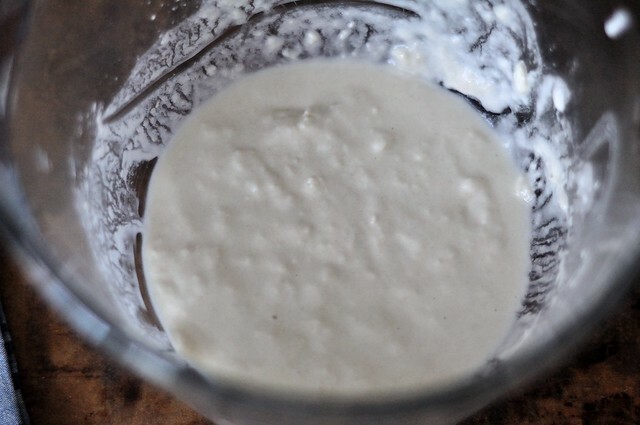 There seems to be some reluctant consensus that, if you’re going to refrigerate your starter, you should wait for at least 30-90 days before doing so, in order to let it achieve full flavor and robust strength. Because a starter that lives in the refrigerator is in a constant state of decline, it’s best to transfer it at peak health. Thankfully working from home will allow me to keep up with twice-a-day feedings for now. God forbid we leave town. Sourdough sitting anyone? Sourdough sitting Haha you crack me up! Your break looks delish! 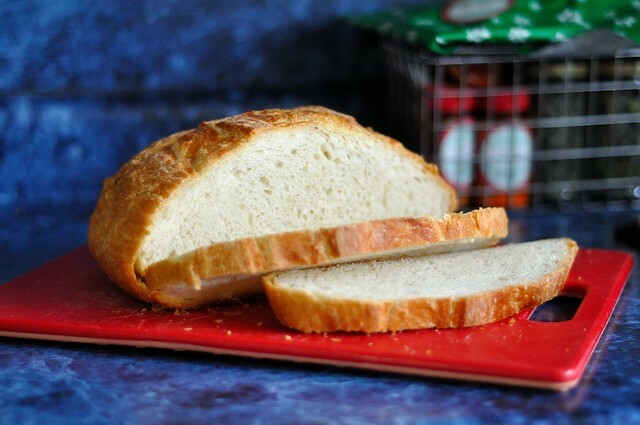 I love sourdough it is one of my favorites! One of the many reasons I loved San Franciscom everything is served on sourdough! They say that the conditions in San Fran make their sourdough bread the most unique and impossible to replicate anywhere. Crazy huh? 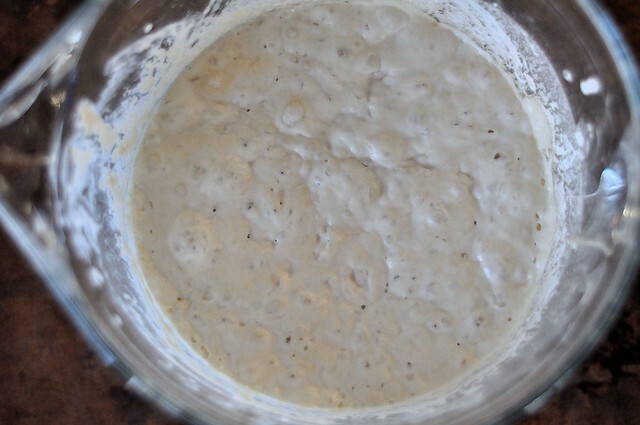 I’ve had some amazing sourdough, hoping my starter gets there eventually. Yeah that’s why I love it. 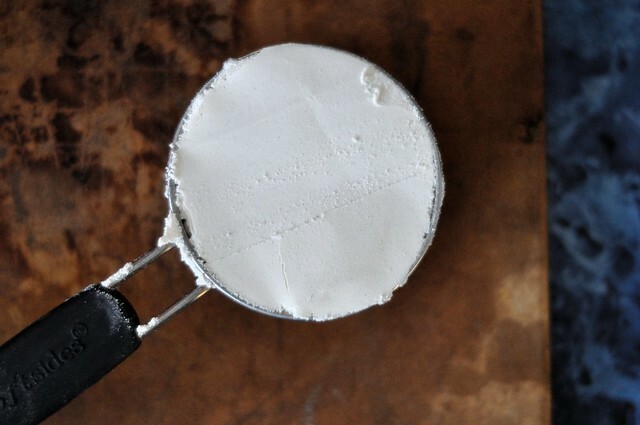 It’s like a kitchen staple, and you can use it for SO much. It’s not as hard to take care of as I’d always built it up to be. Once you age it, it can live in the fridge with just weekly feedings, and it’s easy to come up with a use for it once a week. I am thinking I might start it this next weekened. See how it goes..yikes! Cool site. 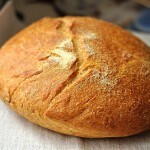 You mentioned that sourdough isn’t paleo, primal or ancestral, but properly prepared sourdough and grains are part of the ancestral diet, but I don’t recall them using yeast in their starter… Paleo is getting some fallout because some are using Paleo to mean different things, but ancestral diets did include properly soaked or sprouted grains. Loren Cordain wrote things that Sally Fallon/Weston Price disagree with etc. I don’t follow Cordain at all. Thanks for posting! Yeah, I was on the fence how to categorize where it feel because the line of what is and isn’t seems to be different for just about everyone. Which, I really think as fine, so long as they are actually items that are in some way by some definition Paleo/Primal/Ancestral. I personally agree with you. I typically end up having to use a little yeast. I don’t know if it’s the climate in which I live in or what, but it just does not rise well, to the extent that I worry about mold occurring, before I actually get a decent rise. I still have a lot of learning to do, but taste and gut-reaction say I am getting there.